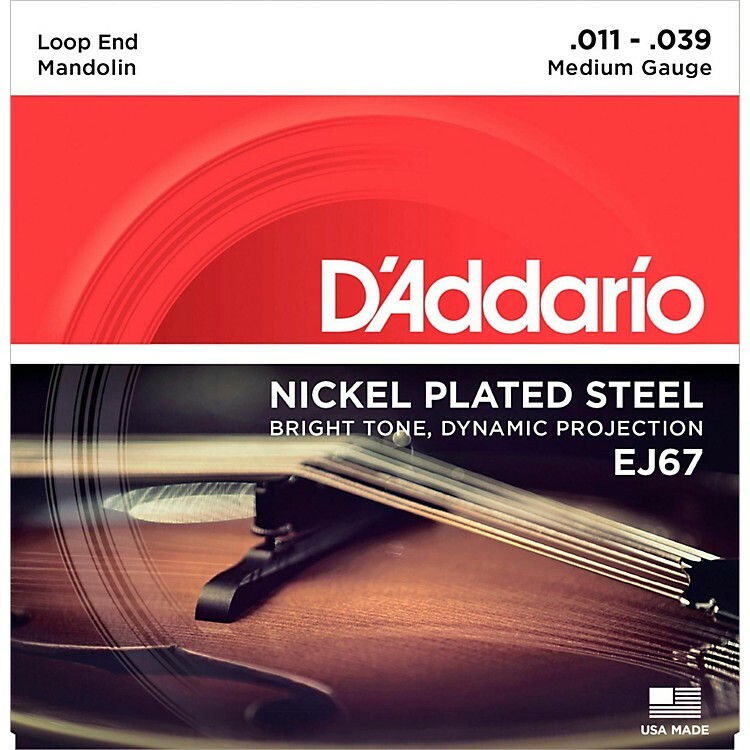 D'Addario EJ67 mandolin strings are great for electric or acoustic mandolin playing. J67 mandolin strings are wound with nickel-plated steel, known for its distinctive bright tone and excellent projection. D'Addario mandolin strings are trusted by legends like David Grisman, Ricky Skaggs, Ronnie McCoury, Doyle Lawson, Rhonda Vincent, Mike Marshall, Adam Steffey, and more, for their natural acoustic tone and reliable performance. Freshen up your mandolin's tone today!